Srinivasa Ramanujan was born in Erode, Tamilnadu, India, on 22nd December, 1887. In his all too brief life of less than 32 years he made monumental contributions to Mathematics. While some of his contributions made into Journals - proverbial tip of the iceberg - much more remain as entries in several notebooks which he kept. The published papers were brought out in 2000, Ramanujan Papers, by Prism Publishers, Bangalore. The unpublished material in the notebooks are also of great interest to Mathematicians and they are available in book form, thanks to the efforts of the Tata Institute of Fundamental Research, Mumbai, and Narosa Publishers, Delhi. 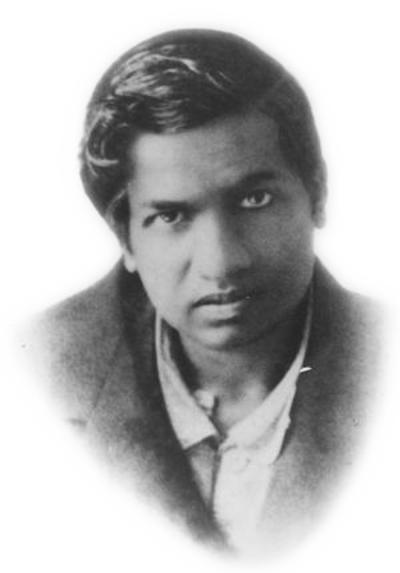 To commemorate his 126th birthday on 22nd December 2013, we would like to make the published papers of Srinivasa Ramanujan as well as the unpublished manuscripts available to the world at large via the Internet. While the published papers are available in HTML, rendered using MathJax, and PDF, the manuscripts are available in DjVu format which can be easily seen on PCs via the DjVu plugin.